PT Bank BRISyariah Tbk - BRIS or known as as "BRISyariah" is a trusted and reliable public-listed financial services company in Indonesia. BRISyariah has core business focus on haria banking industry. BRISyariah offers a wide range of general banking products based on the principles of Islamic banking. BRISyariah is listed in the Indonesia Stock Exchange (IDX) since 9 May 2018 and shares are traded on IDX under reference code BRIS. BRISyariah is a sharia banking subsidiary company of PT Bank Rakyat Indonesia (Persero) Tbk (BRI Group, one of the largest state-owned banks in Indonesia). At present, BRI Group holds 73% shares in BRISyariah. Other 27% remaining shares in BRISyariah was owned by by Yayasan Kesejahteraan Pekerja BRI (9.965%) and Public (17.035%). 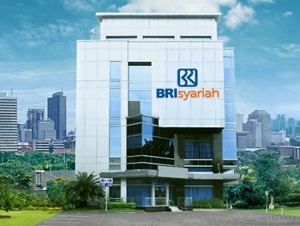 Headquartered in Jakarta, BRISyariah offers services through its 54 branch offices, 207 sub-branch offices, 11 cash offices, 28 cash office service offices, 1,044 sharia service offices and 554 ATMs spread in all parts of Indonesia (as of December 2017). BRISyariah's head office is located at Jl Abdul Muis No 2-4 Jakarta Pusat 10160. According to information found in PT Bank BRISyariah Tbk Annual Report 2017 as cited by JobsCDC.com, the financial performance of Bank BRISyariah in 2017 showed a a positive results. BRISyariah booked total assets of Rp 31,543.38 billion in 2017. This number is up 13.92% year on year (YOY) from Rp 27,687.18 billion in 2016. Referring to its annual report, BRISyariah maintains total third party funds of Rp 26,373.41 billion in 2017 or up 14.70% YOY from Rp 22,991.78 billion in 2016. Male or Female, single/not married. Minimum D3 / S1 or equivalent. Have a high morale to achieve the company's target. Have good integrity, loyal and are guided by Sharia principles. Placement in Greater Malang and its surrounding areas. JobsCDC.com now available on android device. Download now on Google Play here. Please be aware of recruitment fraud. The entire stage of this selection process is free of charge. 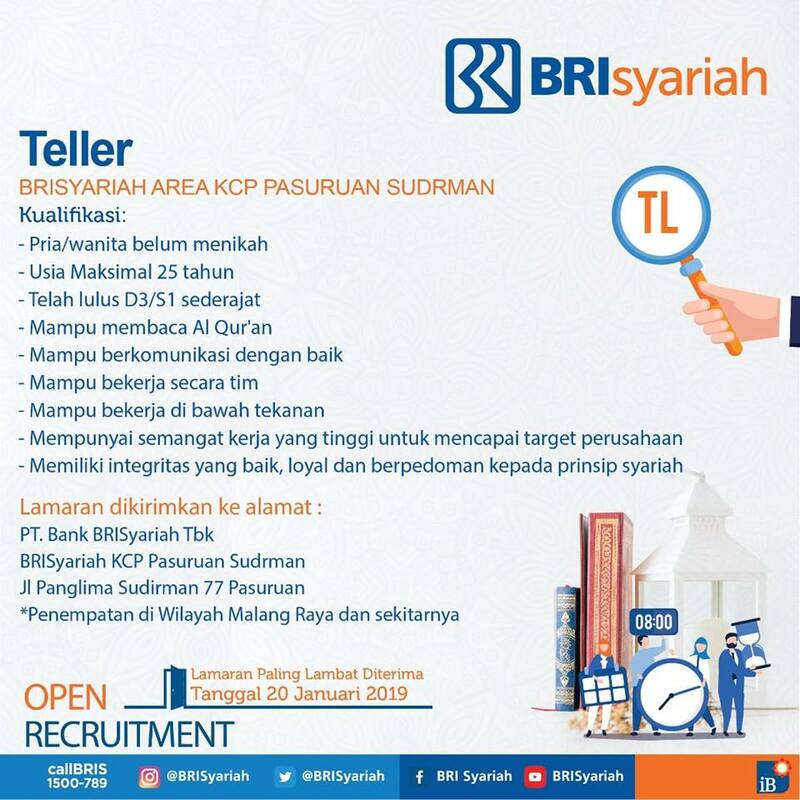 PT Bank BRISyariah Tbk - D3, S1 Teller, Account Officer BRISyariah January 2019 will never ask for fees or upfront payments for any purposes during the recruitment process such as transportation and accommodation.